Beacons, simply put, are small Bluetooth devices that transmit and receive information to and from other devices. Beacons provides an excellent opportunity to businesses to connect and engage with their customers whenever they’re within their range. Leading Brands across various industries are leveraging the beacon technology to provide personalized messages and enhance customer experience. Beacons also help businesses to capture valuable customer data and insights such as visit frequency, buying preferences, etc. In this blog we’ll see how various industries are making great use of the beacon technology. Retail industry has been the early adopters of Beacon technology. With the help of beacon apps retailers can send real-time push notifications about product information, discount coupon or details about the offers running in the store. These customized offers help boost sales and enhances customer loyalty. Additionally, with the rise of Omni-channel retail, Beacons serves as a bridge between customer purchase habits and buying preferences across online and physical space. The push notifications sent to customer’s phone while in-store can be customized as per their browsing patterns on the web or mobile app. Beacons can track customer movement in-store and indicate the most popular areas to strategize product placement. Leading retailers such as Macy’s, Walmart use beacon technology to deliver personalized and enhanced shopping experiences. The main focus of hospitality industry remains on providing best in class customer experience. Through contextual and customized messages, beacons provide unmatched customer experience. With the help of Bluetooth Low Energy technology, hotels can offer automated check-in and check-out facility for its guests through its mobile app. With the help of an app, guests can lock and unlock doors without the need of a physical key. Through beacons, guests can navigate their way around large hotels. Guests can order food from anywhere in the hotel through the app and the waiters can locate and deliver the order. As per the study by Bluetooth Special Interest Group (BSIG), BLE would be powering more than 10 billion Healthcare and Medical devices in the next few years. Beacons, in particular, have multiple use cases in hospitals such as efficient record keeping, patient tracking and monitoring. Beacons also keep track of medical devices, assests, hospital staff and medicinal supplies. Through beacons, hospitals can provide patients and visitors with detail map of each ward, medical store, canteen, etc. Through proximity marketing, hospitals and clinics can promote free health check-ups, blood donation camps or other health related information. Increasing penetration of digital tools in the lives of students has created a void in their connection with the physical world. Introduction of beacon technology in schools has helped in filling this void by adding a layer of local experience and interaction with the physical world. Beacons at educational campuses have multiple use-cases. Beacons are used to record attendance through automated check-ins. Beacon technology can be used to send important notices, announcement, exam dates, results, etc. Security on campuses can be enhanced by installing beacons; students can be located during an emergency and relevant information or alerts can be sent. Beacons help with wayfinding, managing access controls to various deparments, practical labs, etc. From Airports and train stations, to museums and zoos, beacons are transforming every aspect of travel and tourism industry. Beacons, because of their hyper-local and contextual capabilities, are highly valuable to both tourists as well as the service providers. Beacons are used at Airports for flawless check-in of travelers, communicating important flight details such as gate changes, flight delays, etc which are specific to their travel itinerary. Beacons installed in Museums is transforming the way visitors engage with the exhibits. Through beacons information about art pieces is directly sent to visitor’s smartphone in the form of interactive content based on visitor’s exact location within the museum. This can help the museum save on costs which is spent after maintaining audio guides. Similar to Museums, beacons can prove to be extremely useful for visitors and staff of Zoos and Theme Parks. Beacon at Zoos and theme parks can send varied information in the form of self-guided tours, location maps, offers at restaurants, discounts on merchandise, etc. Apart from the industries we discussed above, beacon technology can offer infinite opportunities to several other industries in one or the other way. 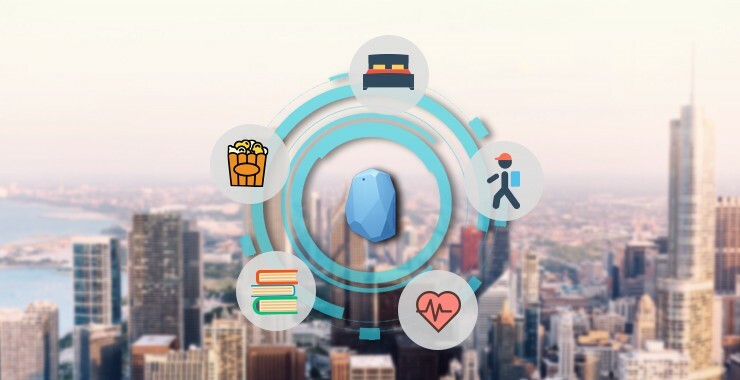 Beacons have the potential to deliver valuable and contextual experience thereby changing the way businesses used to connect with customers. For businesses, beacons not only help them grow their business but also gain customer loyalty. At BLE Mobile Apps, we have an expert team of iOS and Android app developers that can provide you with the latest trends in Beacon technology. Looking to develop a beacon application for your business? Talk to our experts.